Seven nights combining the luxurious Chinzombo OR Kapani Lodge and Kakuli Bush Camp, which is the only true bush camp open in the green season. Magnificent sky scapes and sunsets, a wealth of migratory birds, crystal clear night skies and occasional dramatic tropical downpours provide the back drop for a safari during the most exciting time to be in the South Luangwa Valley. Chinzombo and Kakuli provide a unique and unforgettable safari experience for photographers, wildlife and bird enthusiasts, as well as those who are looking for new adventure in Africa. This adventure can be booked for a minimum of one and maximum of eight guests. Meet our representative in Lusaka Airport where you will be escorted to your connecting flight to Mfuwe; the gateway to the South Luangwa National Park. Enjoy spectacular views from the air as you fly into the South Luangwa Valley, the flight takes just over an hour. On arrival at Mfuwe Airport, you will be transported to Chinzombo Lodge, where you can settle into your lovely suite. This afternoon after an excellent afternoon tea, you will participate in your first game viewing activity and night drive. Your second day will begin with an early morning game drive, giving us great opportunities to see the wildlife during the gorgeous morning light. You will return to camp in time for a sumptuous buffet brunch before having a few hours of ‘siesta’ time to watch the goings on from your room, take a dip in the pool or have a proper sleep! In the afternoons you will enjoy a delicious cake and tea/coffee before heading out on your afternoon activity where you’ll get to see magnificent skyscapes and sunsets, a wealth of migratory birds, crystal clear night skies and occasional dramatic tropical downpours. After breakfast you prepare for your adventure to another part of the African bush, jump aboard the boat for your trip up to Kakuli Bush Camp. Kakuli features luxury tents with stunning views of the Luangwa River, which is home to one of the largest concentrations of hippos and crocodiles in Africa. 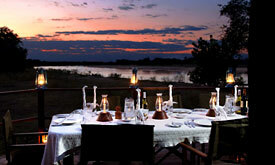 Daily game walks and boating safaris will be conducted in the same manner as previous days. 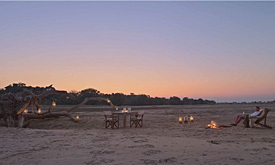 Kakuli provides the back drop for a safari during the most exciting time to be in the South Luangwa Valley. 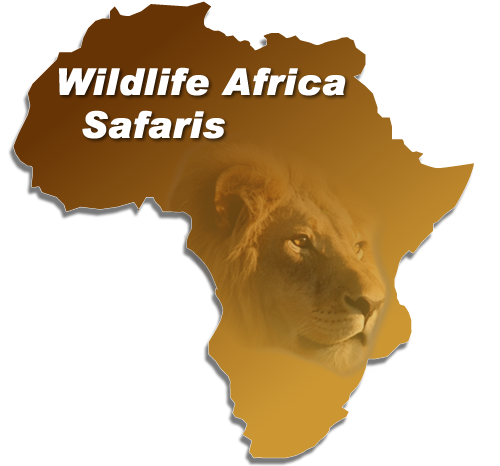 You’ll have a unique and unforgettable safari experience for photographers, wildlife and bird enthusiasts, as well as those who are looking for new adventure in Africa. This morning you will enjoy one final hearty breakfast, and then make your way to Mfuwe Airport for your domestic flight back to Lusaka.